Item: CVA 677-777 - Cordova St. Vancouver, B.C. Item: CVA 677-170 - Corner of Robson and Howe Streets, Vancouver, B.C. Item: CVA 677-969 - Corner of Robson and Howe Streets, Vancouver, B.C. 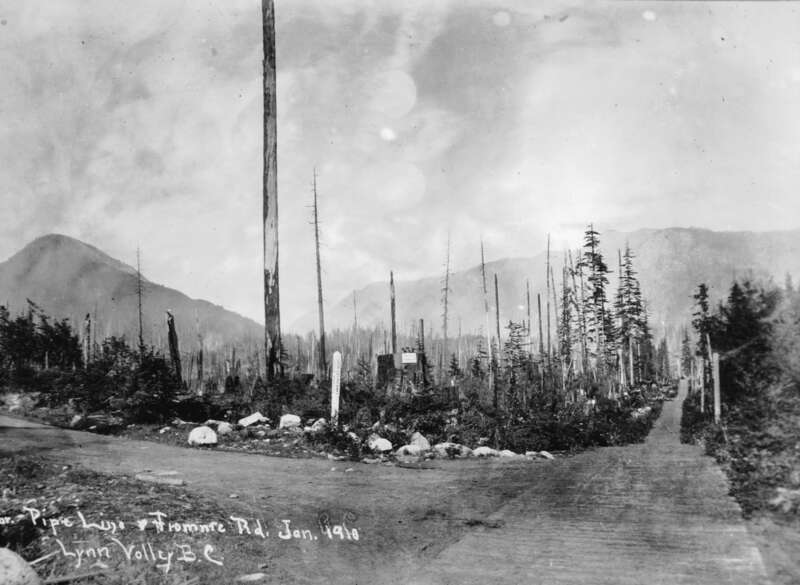 Item: CVA 677-855 - Corner Pipe Line and Fromme Road, Lynn Valley, B.C. Item: CVA 677-159 - Court House & Hotel Vancouver, Vancouver, B.C. Item : CVA 677-855 - Corner Pipe Line and Fromme Road, Lynn Valley, B.C. Photograph shows intersection of two roads, and surrounding trees and stumps. Photograph also shows a signpost indicating the corner of Fromme and Lynn Valley Roads.